What's the oldest video game you played?? Discussion in 'Misc. and Multiplatform Games' started by comicbookmaster, Apr 16, 2006.
watching the lovely but very skinny morgan webb,and asked my brother whats the oldest video game that he has played/owned for any home system/arcade?? 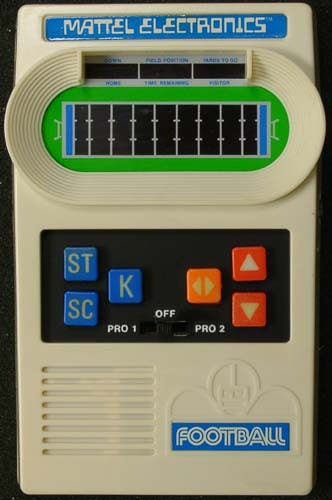 Uh... the original video game... Pong itself. i actually recall playing pong in my early childhood. The games I gots for my atari, I can't remember all the ones I have. Overall? Pong. On a console? Legend of Zelda on NES. On an arcade machine? Miss Pacman. Count me in with the Pong camp. Good stuff Addendum. I loved Combat. But I sure loved that Mappy/Dig Dug/Bubble Bobble/Gauntlet/Bruce Lee Mystery level in that one game! I've played Pong on an 8-bit Atari 2600 circa 1977. That was awesome. Until it disintegrated in my hands. Pong is not the original video game. Not to mention Computer Space had a cameo in Jaws. You've never played Mario Bros?? Not on an NES. (I have some GBA game with it.) I've played a lot of older console games, just not on the console. oh okay. You should play it on NES. It's an experience. Yeah, roms and ports really aren't the same. That's classic right there. My first experience with video games was Super Mario World. Sorry, im not some vet, I've just played the hell out of the NES. Super Mario, Mario Brothers 2, Super Mario Brothers, duck hunter, and ninja turtles. Hell Yeah son. edit: and zelda... i just got lazy, and the original final fanatasy... been a game freak pretty much my entire life. and no, thats not only games i've played on the nes, i would be here a while. Atari Adventure blew my head off.